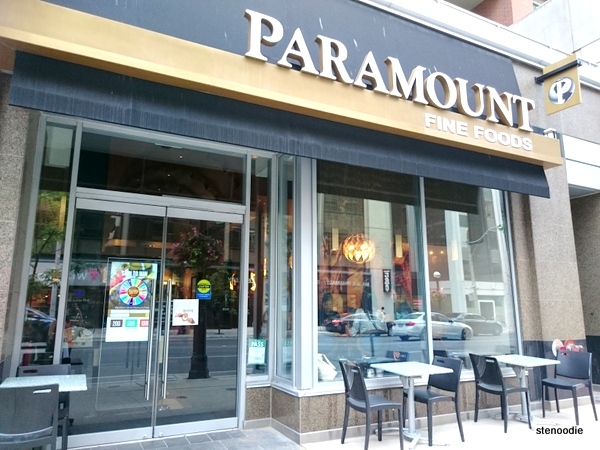 I had the pleasure of invited to the Paramount Fine Foods Yorkville Tasting to try their brand new menu items. This is the first time that they have added six new items to their menu, making it their largest menu expansion yet. 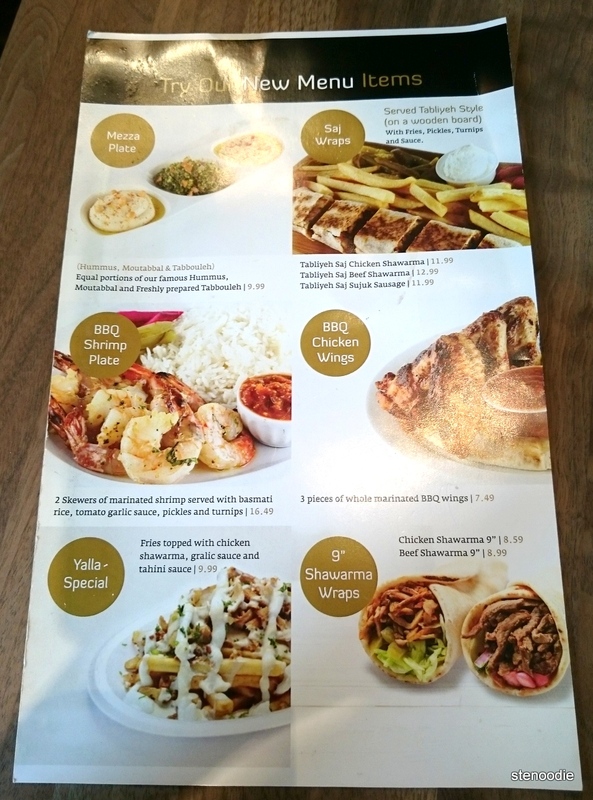 The new items are consistent with their signature fresh ingredients and authentic Middle Eastern flavours, including a Mezze Plate, Saj Wraps, BBQ Chicken Wings, Yalla Special, 9′ Sharwarma Wraps, and their first seafood plate, the BBQ Shrimp Plate! 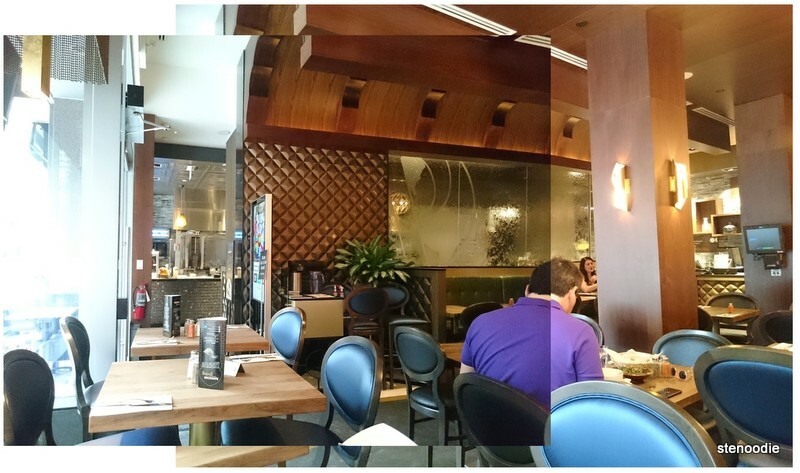 There are already many locations of Paramount Fine Foods in the Greater Toronto Area, including one that newly opened recently at Shops on Don Mills (which I also had the great pleasure of attending). 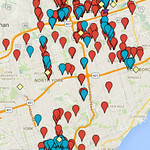 For this tasting, this was at their Yorkville location at 1250 Bay Street in downtown Toronto. I was able to bring a friend with me and I liked how there were seatings available every hour from 3 to 7 p.m. on two days in which I could select to attend. Thank you, Liquid Communications for the invitation! It was a pleasure to see Alessandra again and she warmly welcomed me to the Paramount Fine Foods Yorkville location. My guest Grace and I were seated at the tables that were reserved for us and given a explanation of how the night would go now. 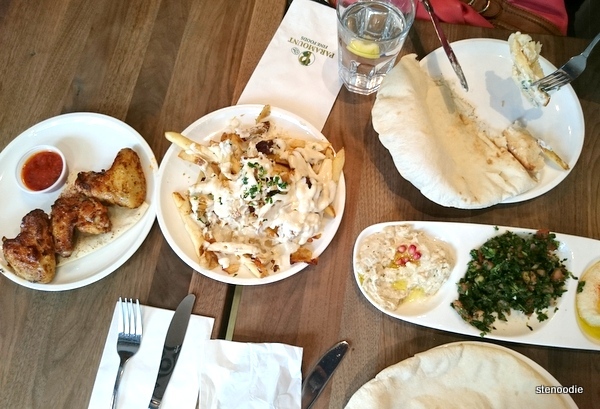 We received an order of their Mezze Plate and Yalla Special to try and then could pick anything off the menu to try as well! We picked the BBQ Chicken Wings to start. The food arrived soon and it was a pleasure to be able to try these new menu items! 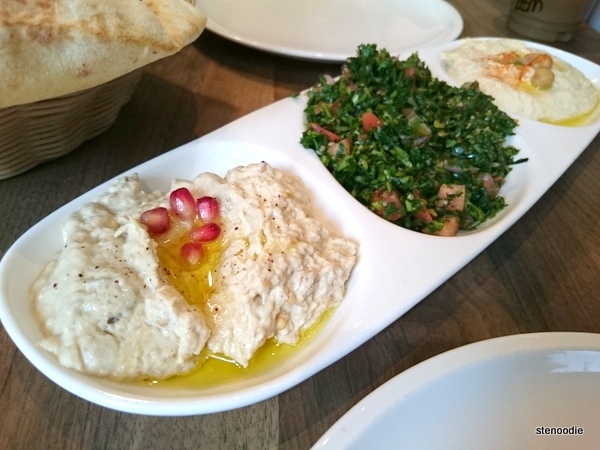 The Mezze Plate contained equal portions of their famous Hummus, Moutabbal, and freshly prepared Tabbouleh. 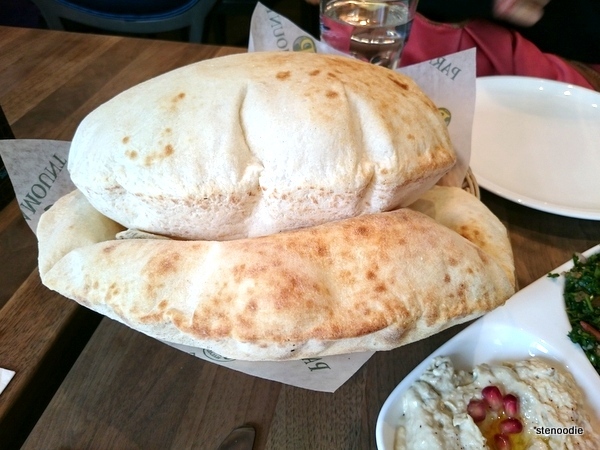 What is very known about Paramount Fine Foods is that their pita bread is freshly warmed up and inflated so that they look like puffed up balloons! It’s quite a sight to see in terms of being a foodie and definitely worth a picture. 😉 When you poke it, it deflates like a balloon too. It looked so fluffy like a pillow! 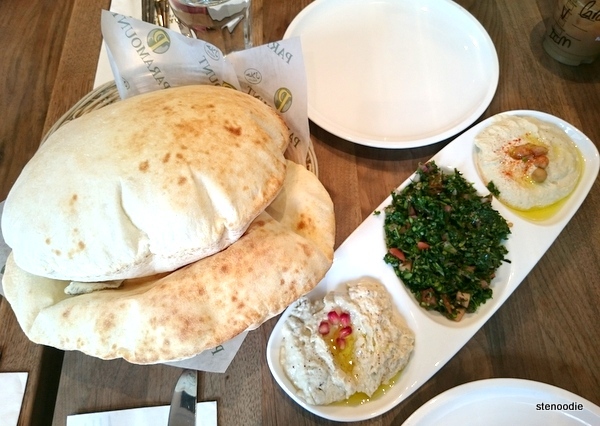 The hummus (chickpeas paste, tahini sauce, drizzled with virgin olive oil), moutabbal (grilled eggplant, blended with tahini sauce, drizzled with virgin olive oil), and tabbouleh were fresh and I really enjoyed the pita bread with these dips. I especially liked the refreshing tabbouleh too. 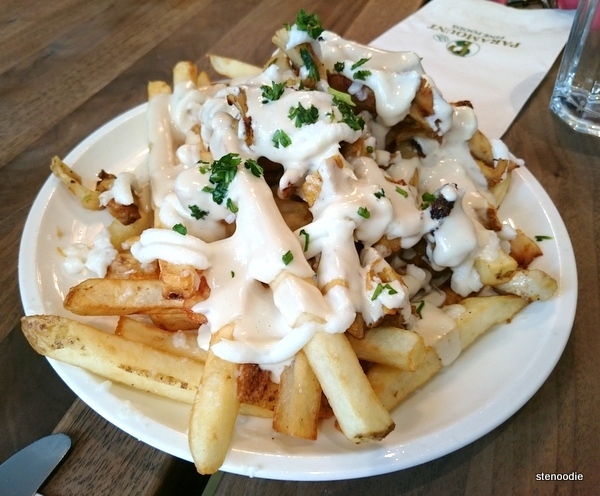 The Yalla Special was a sort of Lebanese poutine where there are fries topped with chicken sharwarma, garlic sauce, and tahini sauce. 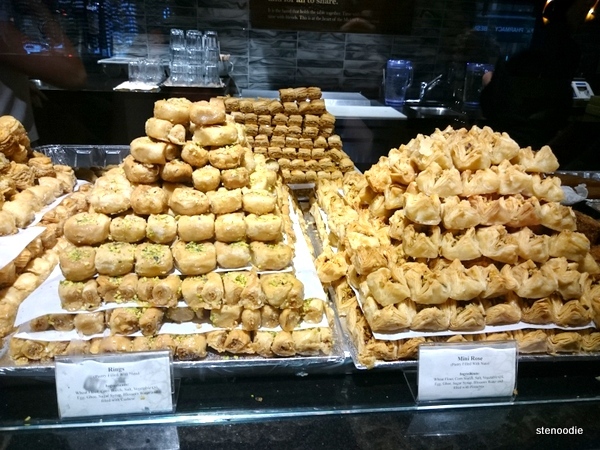 It was a large portion and definitely something you want to share with a friend or two! I loved the garlic and tahini sauce and how thick and creamy it was. The chunks of chicken sharwarma within the fries made this dish very filling too. The BBQ Chicken Wings were three pieces of whole marinated BBQ wings. 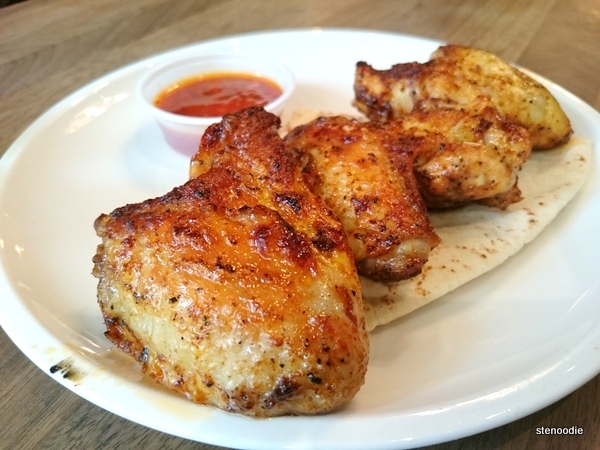 Now these might seem like normal BBQ wings to you, but these chicken wings were so tender and juicy. I really liked how the meat was so tender and the marination was just right. It also came with a small serving of tomato garlic sauce that I really liked. 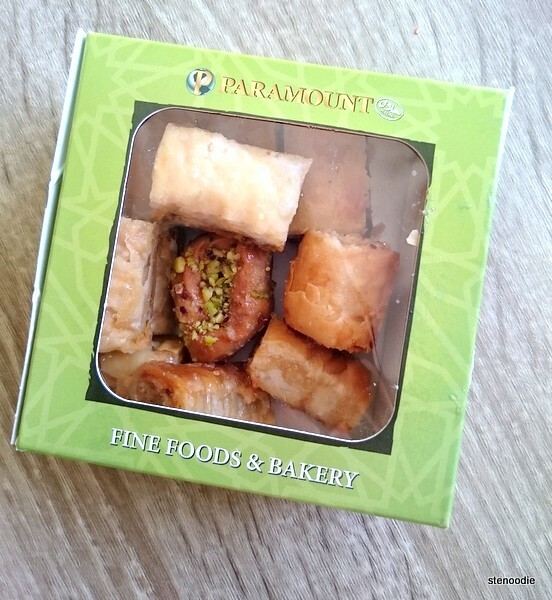 Baklava selection at Paramount Fine Foods. All of these in bite-sized pieces! 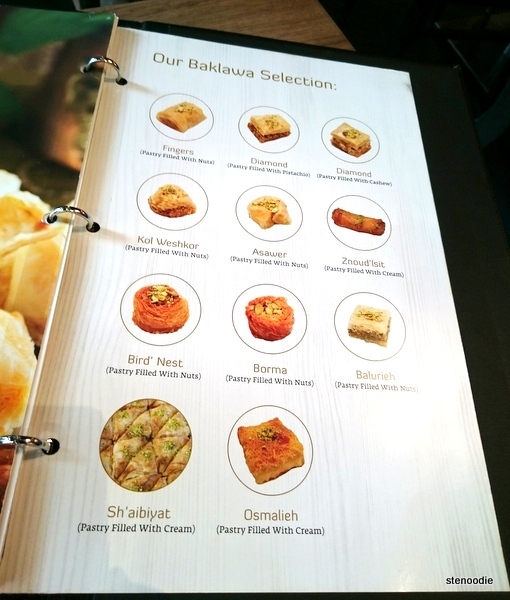 Before we left, however, there is also room for dessert, so I picked one of their Baklava desserts from their menu. As the server explained to me what they had, the Znoud’lsit definitely jumped out at me. 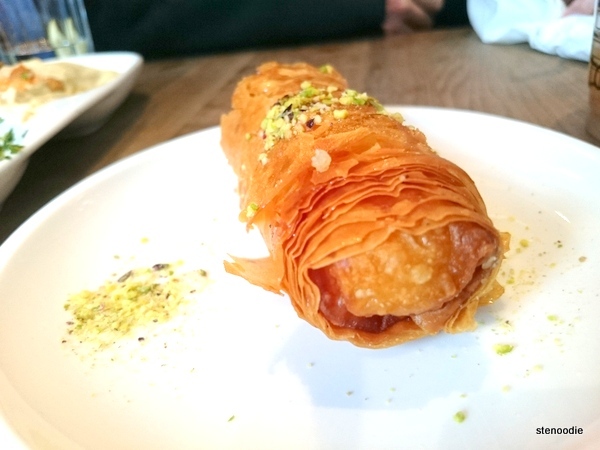 It was a fried baklava dough stuffed with fresh cream (ashtal drizzled with sweet rose syrup and topped with crushed pistachio). How could I say no to that? We got one portion to share and this was delicious! 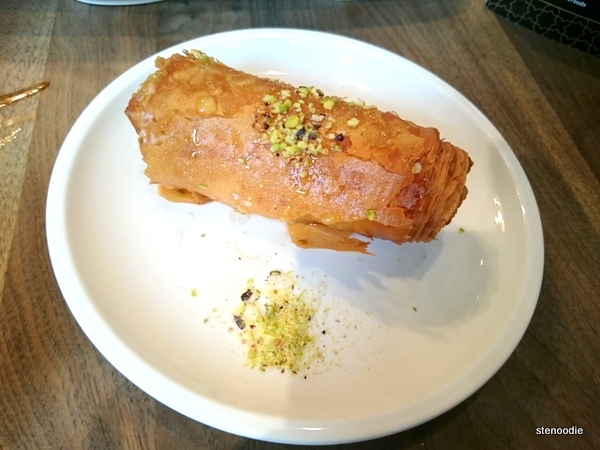 The fried baklava dough was very crispy and sweet due to the drizzling of the sweet rose syrup. 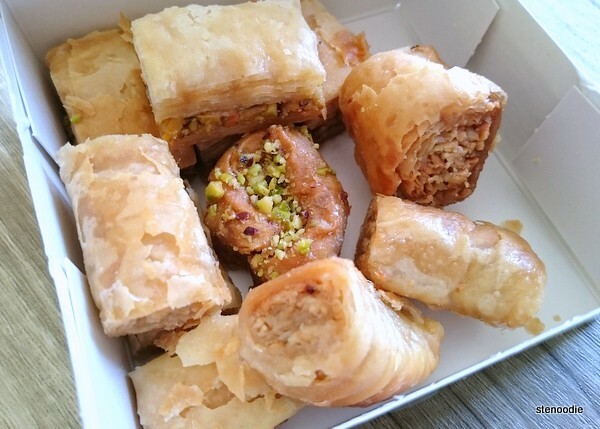 Within the tunnel of fried baklava, there was fresh cream that I really enjoyed. This was delicious! 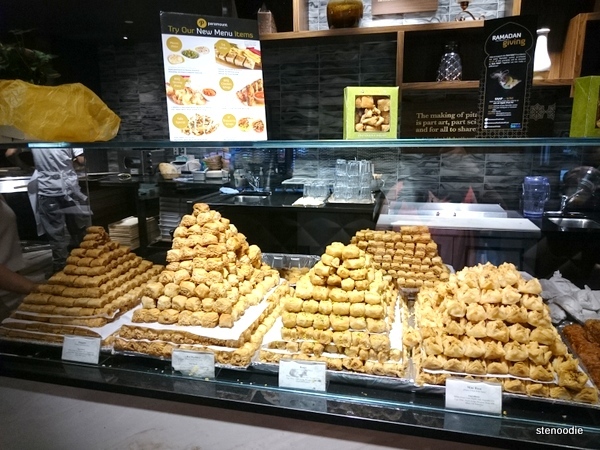 The same goes for the menu items that I would love to return again and try the rest of their dessert offerings. 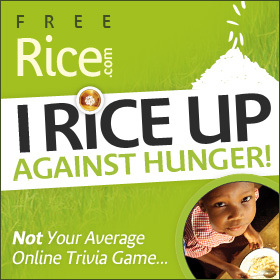 Just look at what they have stacked in beautiful pyramids! These all looked so good! A fine selection of their sweets! These are quite sweet that it’s perfect that these were made for one bite at a time. So delectable! FTC Disclaimer: Although Liquid Communications invited me to a complimentary tasting to showcase Paramount Fine Foods Yorkville, the opinions expressed here represent my own and not those of the companies. This entry was posted in Complimentary Adventures, Food and tagged 1250 Bay Street, @Liquid_comm, @ParmountFoods, blogger events, Hummus, Lebanese, Liquid Communications, Mezze Plate, Mezze Plate and pita bread, Middle Eastern, Middle Eastern food in Toronto, Moutabbal, New Menu Items, new menu items at Paramount Fine Foods, Paramount Fine Foods & Bakery sweets, Paramount Fine Foods Yorkville, Paramount Fine Foods Yorkville Tasting of New Menu Items, Paramount Freshness, Paramount Yorkville, Puffed up pita bread at Paramount Fine Foods, Tabbouleh, tomato garlic sauce, Toronto, Yalla Special, Yorkville location of Paramount Fine Foods, Znoud Al-Sit. Bookmark the permalink. It was delicious! Thanks for inviting me, Karen! !